The high-rise is essentially a character all its own, with corridors and rooms and vast galleries that seem to permeate an aura of supernatural danger. That one prospect is what separates the much-maligned “Poltergeist III” from its predecessor, and all with good reason; whereas the first movie’s direct sequel often took the launch point of thrills and lost them in a haze of elaborate confusion and boredom, this movie – the last of the original franchise – isolates them in a single space where they could fester into something of underlying tension. Often, the key scares don’t amount to everything they should; that much is never in doubt. But because nearly all the attempts are gathered within an area that offers foreboding identity, that which does not amount to something lucrative still has the benefit of some peripheral creepiness. Was it by accident at all then that the director Gary Sherman, an enthusiast of B-movie horror well before his Hollywood undertakings, used ice as a conduit for a poltergeist’s violent obsessions? Or was it at all surprising that their dimension of malevolent unrest could be spied through the reflections of mirrors, as if they had always been windows into their nightmarish intentions? 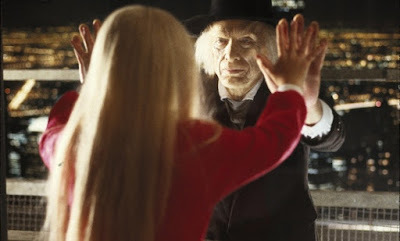 Among the well-known of legendary bad movies, “Poltergeist III” is a sequel with more scope and perspective than most. It occupies a place within our catalogue of distractions not merely because so much of it is miscalculated or fragmented, but because it shows an ambition – however unresolved – that offers fascinating angles to consider the material from. After two films dealing with the ghostly chase between restless spirits and a little blonde girl with untapped spiritual purity, someone high up in this scheme saw potential with tweaking the premise to unrecognizable depth. From the first moment we join all the essential parties in their routine, in fact, one does not gather that we are even observing something set in the same universe. While part of that realization comes down to the reality of the film’s casting (only two of the characters from the earlier pictures remain in this installment), additional facets indulge us in those considerations: namely, the pace, the shifting perspectives, the various subplots, the padding of countless additional characters, and then the loss of the young heroine who is relegated to the backdrop halfway into the picture in favor of ambiguous chases. And as always there is that tall and ominous building in the heart of Chicago, where the lives of a handful of metropolitan faces are going to be pulled into the nightmares of a haunted teenager displaced from the suburbs. With the obligatory sideswipe of narrative explanations, the material dives headlong into the reality of its opening moments. Carol Anne (Heather O’Rourke), now in her early teens, has been sent off by her parents to live with her Aunt Patricia (Nancy Allen), whose husband (Tom Skerritt) owns (and lives in) one of the most luxurious of new skyscrapers in the windy city. Their locale is coincidental to the point; in reality, she is there because her memories of the recent years (shown in explicit detail in the first two films) continue to weigh heavily on her emotions, and a top-rated child psychiatrist in the city seems, I guess, to be one of the few professionals in his field who can help her get to the bottom of them. What is there to understand, really? The truth is that those same angered spirits are still out there, still wandering in unrest, and still eager to be led beyond their dimension by the girl that continues to run from them. Her fears of their ongoing threat manifest in a scene where she is encouraged to revisit her encounters through hypnosis, and the ensuing discussions act as a gateway for them to reappear in her life. The doctor, a cynical nonbeliever, apparently never bothered studying the first rule of ghost story movie franchises, which is to never doubt the prophetic warnings of a child who has survived multiple encounters already. Of course, by then, the early signs of Carol Anne’s discovery are all apparent. When she looks down on a window washer outside of her bedroom, she spies the face of Reverend Kane – the fatalistic leader of the poltergeists – staring back at her. The complex, still so full of bugs in its early months, experiences inexplicable ordeals: namely, failing elevators that make sinister noises, and gargantuan blankets of ice that fill the air ventilation system. Those sorts of circumstances are not obvious warnings to any of the unknowing faces that populate the movie, but we know better: they are elements of obvious foreshadowing, anchored further by an enigmatic phenomenon where the many mirrors in the building project reflections that move entirely on their own. The unfortunate irony of horror movies, alas, is that none of the existing characters who carry over to sequels ever seem to develop some level of experience with their trauma. No, not even Carol Anne herself, who after the horrific memories that come to the surface earlier in the day through hypnosis, does not neglect to send off her cousin Donna (Lara Flynn Boyle) to a teenage party while her aunt and uncle are away, effectively leaving herself all alone in that menacing apartment. To the credit of Sherman (who was new to the reins of mainstream Hollywood when this film went into production), he builds these realities up with effective gusto. Consider a pair of sequences that take place that night after that critical moment in therapy; in succession, each of her guardians are seen walking down the hallway just beyond the apartment door, and a lengthy row of mirrors show obscured figures (all looking like Kane) watching them disappear into the elevator. The first scene begins with each appearing from open doors; the second shows the doors slamming as the final character passes by them. Do they not see what is going on in the reflections? 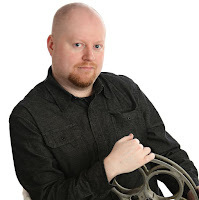 Their lack of perception correlates to the script’s requirement that many of the new characters must remain oblivious to the horror until pivotal moments. And when the confusing nature of Carol Anne’s sudden disappearance does not come with easy explanations for them, the movie sends in a familiar face – the clairvoyant Tangina (Zelda Rubinstein) – to offer added insights. All of these pieces of the puzzle fit well throughout the course of the early minutes, but then “Poltergeist III” comes dangerously close to derailing in the third act as a result of hair-brained decisions and a sense of depleted inspiration. Nearly all of the last twenty or so minutes involves two remaining characters to run through hallways in search of a figure they think is Carol Anne, all while constantly shouting her name in repeated increments (movie gurus have reportedly clocked a total of 121 occurrences in which her name is uttered). Moments that appear as climactic encounters with the Kane character – now a mere caricature seen long enough to inspire quick (and momentary) jolts – often turn out to be false endings, and the reliability of what we are seeing is undermined by the script’s inability to clarify the obvious (is a dangerous explosion in a blizzard-like garage really happening, or is it a daydream put on by the Bruce and Patricia characters?). And in terms of conclusive moments, seldom has there been an ending to a movie that has felt so incomplete, or so utterly uninspired in the way it ties convenient knots onto such ambiguous loose ends. Are there explanations for some of these problems? Perhaps. Because young Heater O’Rourke died just a few short months prior to the film’s opening (and reportedly before the director was able to re-shoot an already problematic ending), the final minutes feel like a rushed botch job tacked on in order to get the film completed before deadline. Judging by what is on screen, that attempt is very obvious. Notice, for example, how young Heather’s face is never actually seen in the last moments during the critical resolution, or how quickly the dialogue rushes through an encounter between Kane and Tangina that violates the entire purpose of the premise. So many years later, one wonders why Sherman denies us the right to see the more complete final sequence, where all characters are present. Were the special effects shoddy? Were the exchanges badly written? Did they forget some details? Nothing that rests in the vaults for this film could ever be as badly conceptualized as what exists in this final version, which seems to grind through the material with passiveness, as if conceding that it has lost all hope of coming up with any effective outcome. But after six years of making these films – and watching a dozen cast and crew members meet tragic fates off-screen – perhaps the best ending for the studio in this case was that it could be simply over and done with. Unlike most third-parters in movie trilogies, however, at least the filmmakers behind “Poltergeist III” can go out saying that they at least tried doing something novel with the concept they were given.